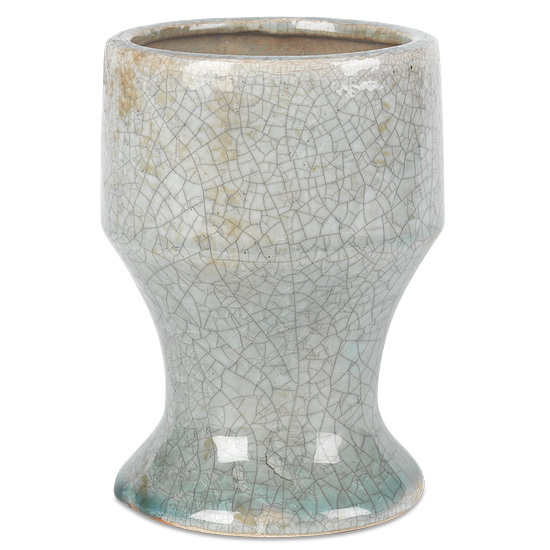 Grey is a trending color in home décor and this piece, with it’s crackled ceramic finish in the popular hue, is no exception when it comes to style. We suggest filling the vessel with a tropical bouquet to give it a masculine look, some beautiful iris for the feminine side, or perhaps some bon bons or just by itself. You will love its versatility.